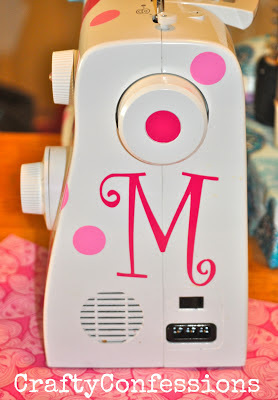 I have seen adorable decorated standing mixers all over Pinterest and I had serious mixer envy. I don't really think I wanted a standing mixer, just something to makeover. Then it hit me: I can makeover my sewing machine! I picked out my favorite colors (pink and more pink) and ordered some adorable decals from Jennifer at The Shabby Suitcase. Doesn't it look adorable?? 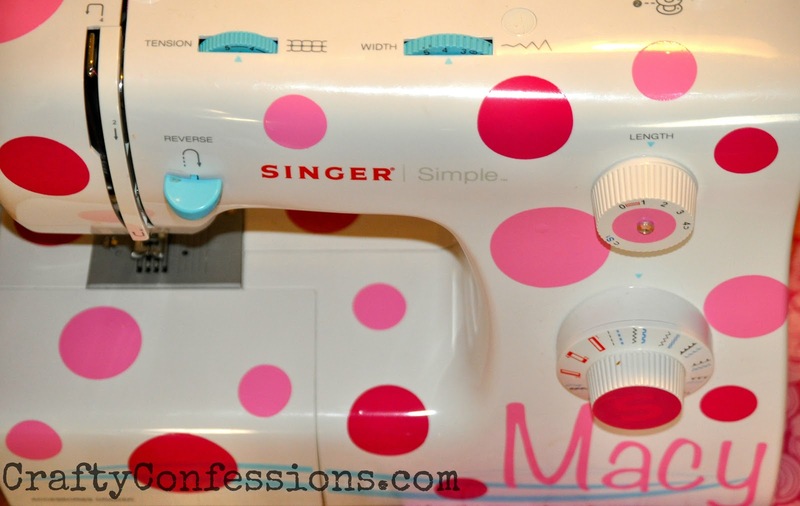 It gives a fun, cheerful feeling to my crafting area and has already motivated me to get started on those holiday sewing projects that I have been putting off. If you want your own monogram sewing machine kit just head HERE. Linking up to THESE awesome parties! 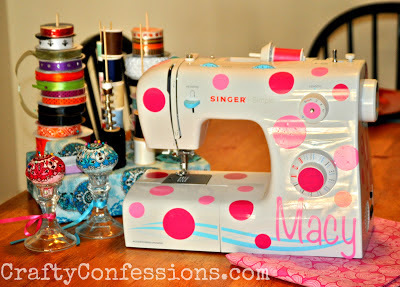 Okay I love this idea, I might just have to pretty up my sewing machine. Love it so much I have to share on my Facebook page. Very cute. Defiantly going to try this with my machine now. Love love love it. As soon as I saw it at the weekend wrap up I had to see it. I must do this. Oh and I love pink too. Pinning this, thanks for sharing. I have this exact machine and I love what you did here!!! 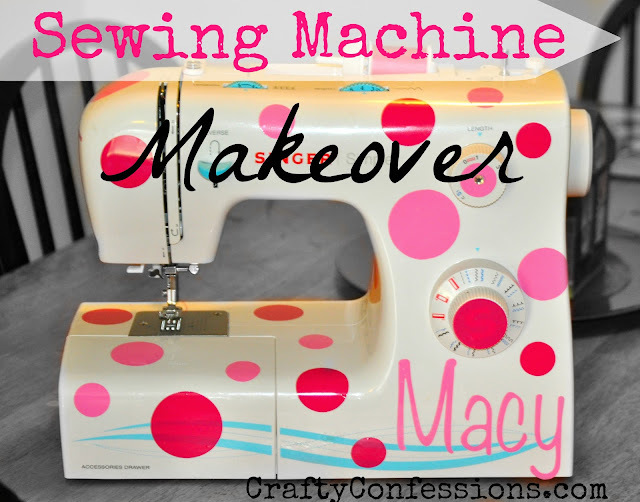 Gonna take this idea and remake my machine to be a "happy 'chine" -as my 3 yr. old granddaughter would say. Thank you!!!! Haha, wow, this is cute! 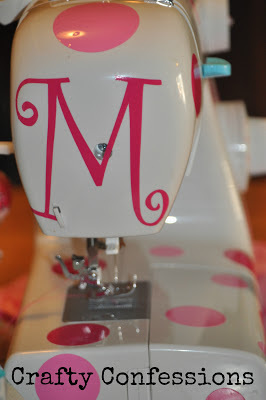 I wouldn't think to vinyl-up my machine... cute idea! I'd love for you to share this at my link party!